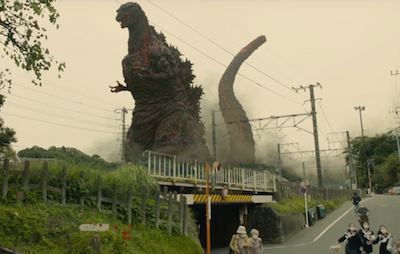 The Good, the Bad, and Godzilla 続・夕陽の呉爾羅: TOHO'S UPCOMING "SHIN GODZILLA" REVEALED New Info & Trailers for GODZILLA RESURGENCE! Sweet looking forward to this. Also what's the music piece playing during the trailer? 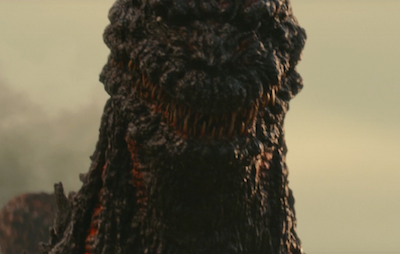 I've yet to see any discussion as to whether Godzilla: Resurgence will get a Western release. Any mention of this that you know of at all? Battra, that may be part of composer Shiro Sagisu's score. Rik, if there was any hint of a North American release at this early juncture, I would've cover it — at this point, it's up to Legendary Pictures/Universal Pictures, since they have the right of "First Refusal" on GODZILLA RESURGENCE, as far as I'm aware. "Full CG"? Surely that first shot is a puppet, right? Could they just mean CG enhancement? Even with the visual effects awaiting completion, the trailer is gorgeous. And the musical cue was beautiful. Legendary Pictures should buy the North American distribution rights, produce an English dubbed version and give it a wide release via Universal. If Legendary or Universal don't, Funimation should. They're the Gods of English dub. 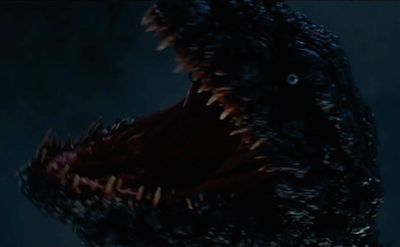 I am very excited about the TOHO Godilla and love the trailer and the foreboding musical score! I think old school Godzilla fans(49 been watching since I was a wee tot in the early 70's)will love this film....just a feeling I have after watching the trailer. I can't believe people are ripping this look and this trailer. Wow. Anyway, to each his own but know that I will be supporting TOHO and any Godzilla film. Remember, wasn't too long ago that it was just a dream that we would ever see a new Toho film. Toho is the best, no one does Godzilla like the originators!! 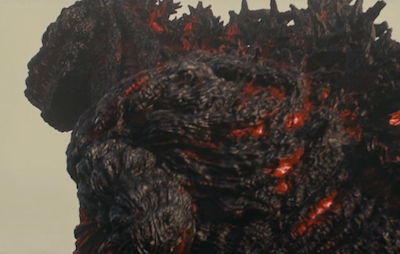 I'm glad TOHO is back in the Godzilla game. 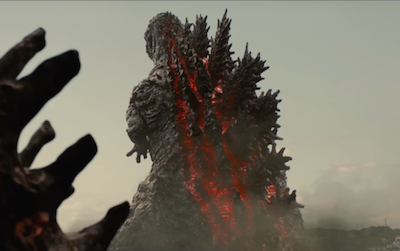 Can't wait for Shin Godzilla / Godzilla Resurgence. I wasn't too happy with Edwards take on Godzilla in the 2014 film. In fact, after watching it in the theater and paying $12 for a matinee ticket, $14 for parking, I wanted my money back. Since I couldn't get my money back I just went home and watched the original 1954 Japanese classic again to wash away the memory. Sure, it made money and I'm glad it got made but it missed the mark with many older fans like myself. 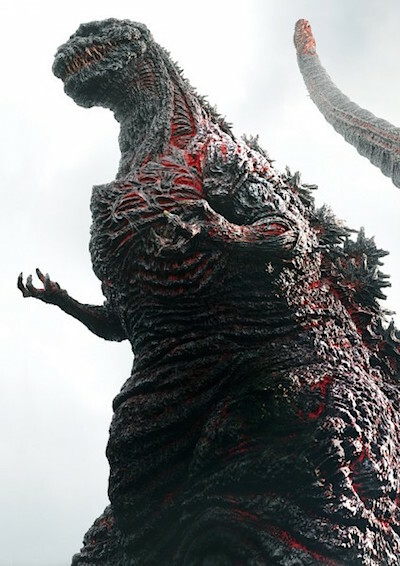 I've been watching Godzilla movies since the early 70's and the story of the 2014 movie reminded me of some of Godzilla's weaker films where he was the "hero" and protector of earth. The ad campaign sold us a totally different movie of a destructive apocalyptic doom rising from the sea to battle mankind. It never happened. What we got was Godzilla the monster cop looking for the two MUTOS. Just a head's up, but the movie spells Satomi Ishihara's character's name as "Kayoco Anne Patterson", not "Kayoko Ann Patterson".